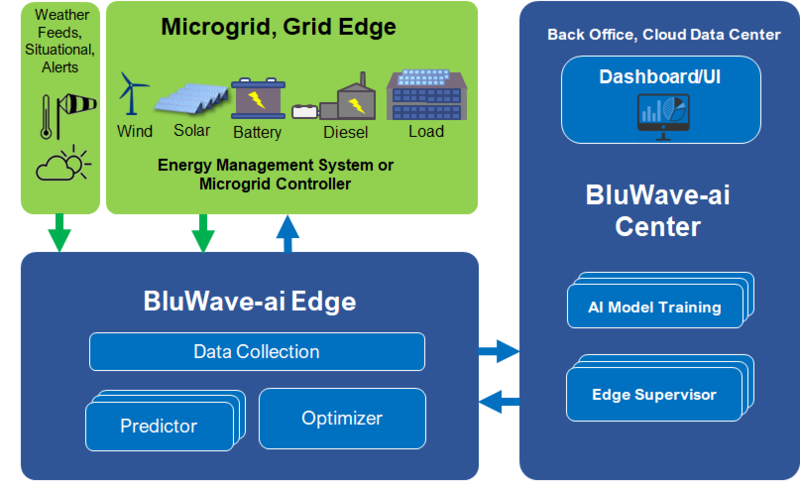 To assist customers by quantifying the benefits of using AI assisted operation of their grid, BluWave-ai offers an AI Model Building Service. 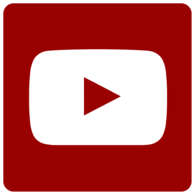 This service includes conditioning historical data for AI model and building and training AI models. BluWave-ai will build models that work with the customers’ data to provide improved predictions of load and generation. Using a simulation of the grid, suitable optimization strategies are tested to v‍‍‍alidate model based on available historical data.BluWave-ai will connect an instance of Edge either on-site or in the cloud to smart grid sensor and data sources. 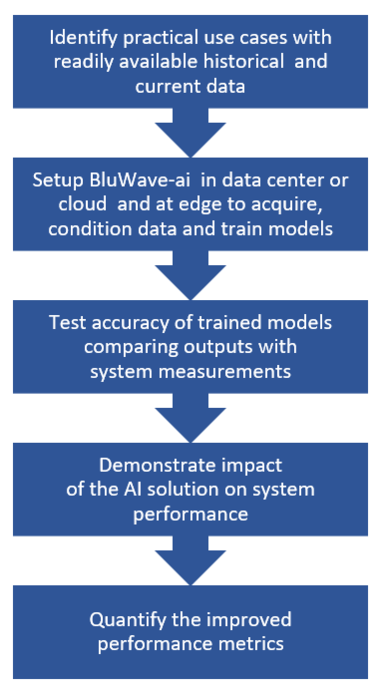 An instance of BluWave-ai Center will also be set up and connected to BluWave-ai Edge for model training and testing by BluWave-ai using live data. This provides further training using live data. 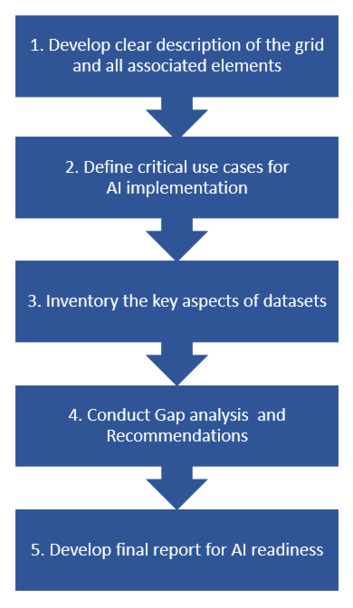 Live data is used by the AI models in a simulation environment to provide predictions and recommendations to estimate the improvements that would be achieved by deploying BluWave-ai for smart grid control. BluWave-ai can also provide recommendations (for example via email) that customer’s may use to periodically test their outcome on-site.Based on these results, BluWave-ai will provide a report to help customers quantifying the expected benefits before fully deploying BluWave-ai.